Beyond The Neighborhood is something special. This CD consists of songs written for the beloved children’s show, Mister Rogers’ Neighborhood, by its star and producer, Fred Rogers. In the hands of pianist Kevin Bales and vocalist Keri Johnsrud this music translates very well into a jazz setting. Rogers’ songs with their messages about self-confidence, friendship and universal love as are pertinent for adults as well as children, especially these days. Musically the original melodies are basic but strong enough to work in all the rearrangements that Bales and Johnsrud create. “It’s You I Like” becomes fast-paced bebop, “Look And Listen” adapts nicely to a funky New Orleans groove, “I Like To Take My Time” sounds beautiful as measured gospel and “Just For Once” glides over an exotic tropical beat. Keri Johnsrud’s singing throughout is remarkable, light and soft with elements of poignancy, innocence and sometimes even sensuality. Kevin Bales’ piano can gently float over the melodies or pound rhythmically as called for, sometimes evoking the touch of Rogers’ own musical director, pianist Johnny Costa. The rhythm work of Billy Thornton and Marlon Patton is sensitive to the needs of the music but not above some fun embellishments like circular drum rhythms on “Just For Once” and “Find A Star” that come out of Ahmad Jamal‘s famous “Poiniciana” groove. This session is a delight. 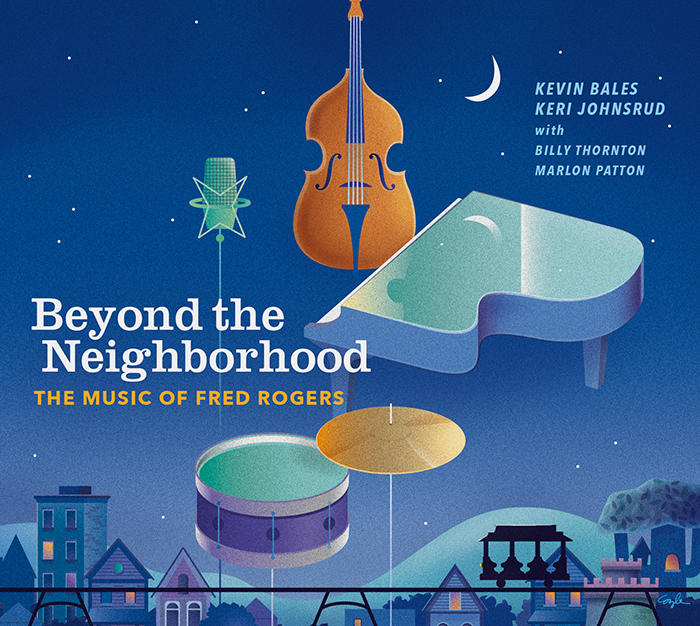 It pays tribute to Fred Rogers’ music and spirit in a fashion that glows with respect and carries over some of the powerful messages of the show itself. It’s delicate and moving and one of the highlights of the year’s music so far.